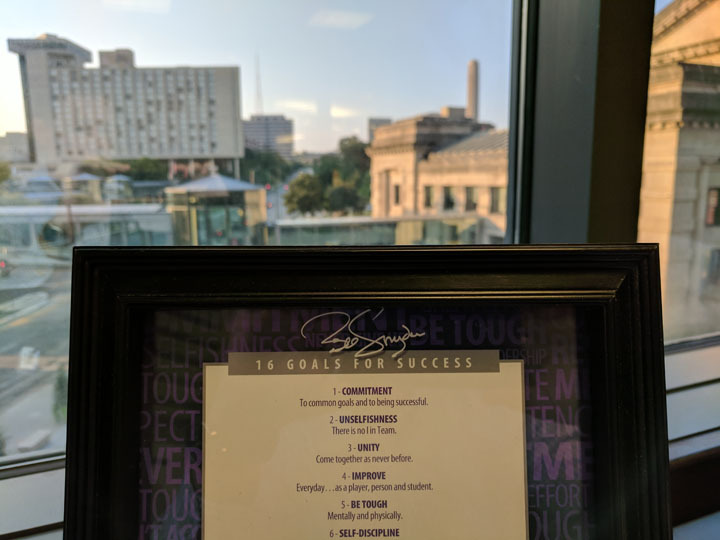 Ross Jensby, new Health Forward communications associate placed a framed copy of Bill Snyder’s 16 goals for success to carry into his new position. Commitment To common goals and to being successful. Unselfishness There is no “I” in TEAM. Unity Come together as never before. Improve Everyday… as a player, person, and student. Be tough Mentally and physically. Self-discipline Do it right, don’t accept less. Eliminate Mistakes Don’t beat yourself. Don’t accept losing If you do so one time, it will be easy to do so for the rest of your life. No self-limitations Expect more of yourself. Expect to win And truly believe we will. Consistency Your very, very best every time. Leadership Everyone can set an example. Responsibility You are responsible for your own performance. Coach Snyder knows a thing or two about success. He also knows the importance of focusing on people. He often recounts the reason he chose to become Kansas State’s head football coach at a time when the Wildcats were arguably one of the worst programs in the history of college football. “I came there (Kansas State) because of the people and I stayed because of the people.” Since joining Health Forward a month ago, it is clear I’ve joined a team focused on people. 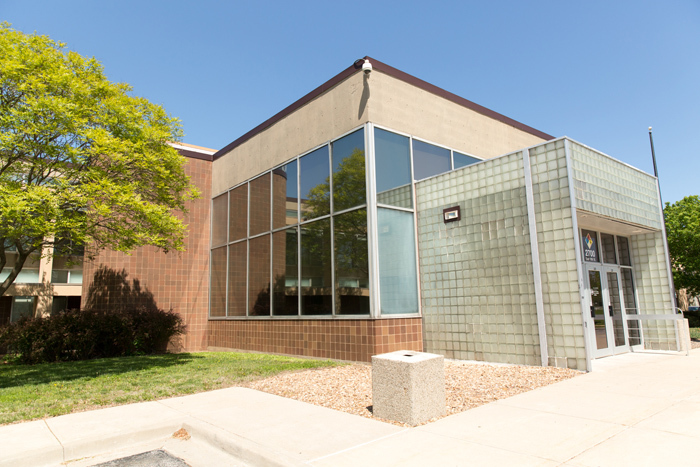 Health Forward hired me to expand the foundation’s communications efforts. My first day on the job, the board approved $4.25 million in grants to 30 partners who are working to support healthy and resilient lives in our community. That’s a powerful commitment to the health and wellness of our region. Let’s get the message out there. I encourage you to take a look at the work those organizations are doing. On day two, I found myself in south Jackson County visiting with community members and facilitating a conversation about big ideas to fix public health issues in the area. Health Forward will soon wrap up a series of 10 such conversations we’ve had across our service area. The feedback we’ve received from these discussions will guide us as we look for ways to improve. Get a preview of some of that feedback with this midpoint recap of our community forum outreach. One month in, I’m still impressed by the passion my coworkers bring to work each day. They are united by a common goal, to eliminate barriers and promote quality health for uninsured and underserved people. They are always seeking new ways to improve the impact of our resources. There are no self-limitations at Health Forward. We expect the best out of ourselves and our team because the work we do matters to a lot of people. A framework for success pitched by a football coach at a university in the middle of Kansas might seem strange to apply to Health Forward’s work, but I argue we share many common values. Health Forward staff are all committed to our team. This is the commitment I’m making: To work with enthusiasm. To get a little better each day. To do my very best. Every time. Our mission is tough. Public health issues are some of the toughest problems we face as a society. But we won’t give up. We are up for the challenge. And we expect to win.